They have toured around the world for 12 years, release 4 full records and sold almost 2.000.000 CD’s. In 2013 however Silvy, Wout and John decided to take a break. But the stage-hunger is unstoppable, and therefor Sylver decide to step back on stage for a few exclusive reunion concerts. Expect an energetic show filled with their countless hits. 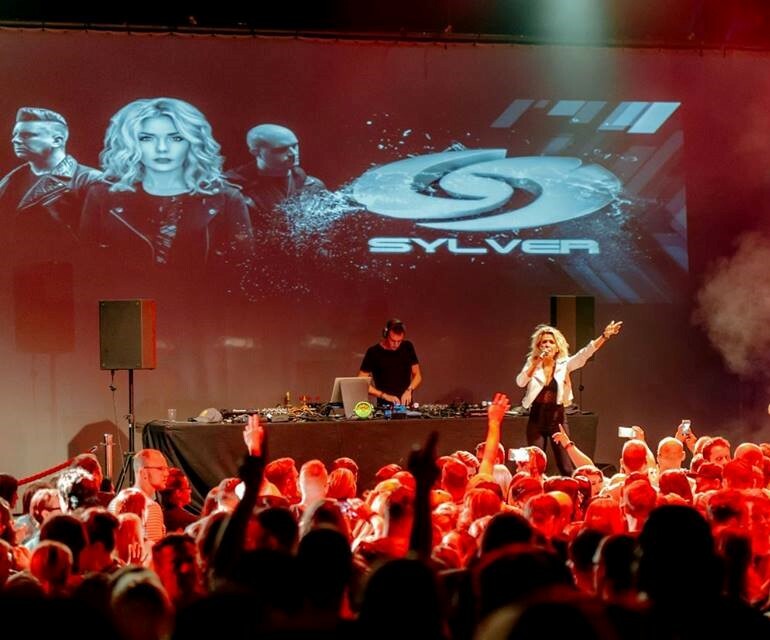 The dance phenomenon Sylver has toured around the globe for over a decade, while releasing 5 albums and selling 2 million copies worldwide! In the year 2000, their first single „Turn The Tide“ was an instant hit, peaking the European charts to a #1 position for consecutive weeks. You’ll surely remember „Skin“, „Why Worry“, „Forgiven“, „I Hate You Now“, „Foreign Affair“, and their countless other hit records and catchy tunes. After calling a break in 2013 to work on their individual careers and side-projects, Silvy, Wout and John Miles Jr. are now stepping back on stage for a series of exclusive reunion concerts — kicking-off with a massive show at the Back to the 90’s & 00’s party on Saturday, March 26th in Sportpaleis Antwerp! Expect an energetic show filled with their countless hits!